At this year’s San Diego Comic Con, our friends over at NECA had some really amazing products, only available during Comic Con… Until now. 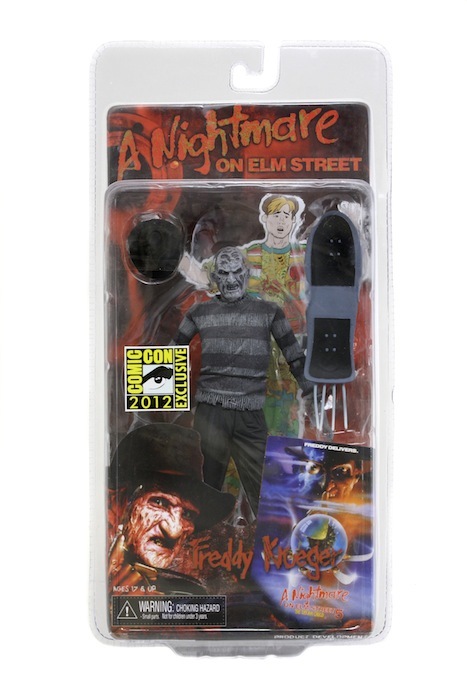 We are giving you the chance to win this 2012 SDCC-Exclusive Freddy Krueger figure, created with such accurate detail that just looking at his mangled face will give you spooks. This figure was only available outside of San Diego by purchasing an exclusive San Diego Comic Con Pack by NECA. This 1989 Cult Classic Mr. Krueger stands at 7″ tall, comes with a skateboard and, of course, Freddy’s trademark hat. And to really bring the movie to life, also included is a paper recreation of Mark Gray. Who is Mark Gray? He’s the poor guy in this Freddy installment that gets sucked into a comic book by the Gloved One himself, and meets his end by being turned into paper and sliced into shreds. Talk about impressive. So what’s it gonna take to win this SDCC Exclusive Freddy figure? It’s actually pretty simple. 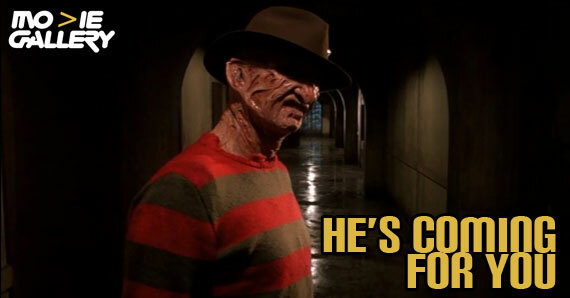 Show us how much of a Freddy fan you are. Did you dress up as the Gloved One at SDCC or maybe Halloween? Show us pictures. Are you one of the lucky ones that got the chance to meet Robert Englund? We wanna see proof! Already have a growing Freddy collection? Put your camera where your mouth is. Basically, we want to see you’re a real Freddy fan. Easy enough? 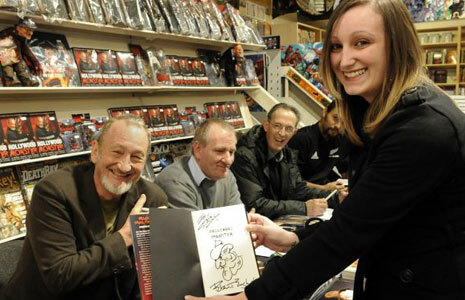 Robert Englund at a book signing! Follow Movie Gallery on Twitter and submit your entry via a post! Don’t forget to tag us in your post by typing “@moviegallerycom”, or else we won’t see it! Circle and +1 Movie Gallery on Google + and write a post with your answer. To tag us on G+, type “@” and start typing Movie Gallery. Like us on Facebook and simply write your answer right onto our Timeline! Feel free to embed videos, pictures, slideshows etc! We accept all forms of media. Just do not forget to tag us in all of your posts. Without doing this, we won’t see them! There are no restrictions as to what media you can use – videos, pictures, music, text, and any others are welcome. You are welcome to submit multiple answers to Twitter, G+ and Facebook. Unfortunately, at this time, we are only shipping within the U.S.A. The winner will be announced next Wednesday, August 15th, on Facebook, Twitter and Google+. Please keep an eye out on all 3 – we only give our winners 24 hours to get back to us before we choose another one! We will choose the winner based on originality and true passion for Freddy. This entry was posted in Contests & Giveaways, Horror, The MG Blog and tagged Contest, Contests & Giveaways, Entertainment, freddy krueger, Horror, movie, Scary by arianned. Bookmark the permalink.